"Benefits and Risks of Recent Medical Advances"
"Allergy & Clinical Immunology Update 2010"
The liberalisation of global trade and services is not a new phenomenon. GATT (General Agreement on Tariffs and Trade) was established in 1947. In 1995 the World Trade Organisation or WTO was established. Under WTO a set of rules governing multilateral trading systems was formulated. Decisions are based on consensus and have to be ratified by the parliaments of the member states. WTO was formed to encourage freer global trade based on fair competition and non-discrimination. It also has among its objective, that of encouraging development and economic reform among less developed nations. In this respect it offers special and differential treatment to less developed countries, recognising that these nations are at a different stage of development. Malaysia is a member of WTO and is therefore bound by its rules and regulations. In addition Malaysia is also party to or in the process of negotiating other regional, multilateral and bilateral free trade agreements (FTAs). They include the Asean Free Trade Agreement (AFTA) and bilateral agreements with Japan and Pakistan. Our FTA negotiations with New Zealand has been concluded while negotiations on FTAs with the US, Australia, Chile and India are on-going. These agreements are all available on the Internet but are written in such technical language so as to render themselves virtually incomprehensible to most people. 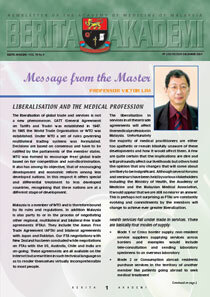 The liberalisation in services in all these trade agreements will affect the medical profession in Malaysia. Unfortunately the majority of medical practitioners are either too apathetic or remain blissfully unaware of these developments and how it would affect them. A few are quite certain that the implications are dire and will profoundly affect our livelihoods but others hold the opinion that any changes that will come about are likely to be insignificant. Although several forums and seminars have been held by various stakeholders including the Ministry of Health, the Academy of Medicine and the Malaysian Medical Association, it would appear that we are still no nearer an answer. This is perhaps not surprising as FTAs are constantly evolving and commitments by the members will change to achieve ever greater liberalization. There is generally little concern with the first two modes. Anxiety stems from the application of the third and fourth modes. Under WTO or more specifically GATS (General Agreement on Trade in Services) Malaysia is committed under the Uruguay Round to allowing up to a maximum of 30% foreign equity for hospitals more than 100 beds and up to two foreign specialists in hospitals of more than 100 beds. The 14 medical specialties that are allowed are forensic medicine, nuclear medicine, geriatrics, microvascular surgery, neurosurgery, cardiothoracic surgery, plastic surgery, clinical immunology and oncology, traumatology, anaethesiology, intensive care, child psychiatry and physical medicine. Under the Doha round of negotiations, Malaysia is improving its offer to allow foreign equity of up to 40% in hospitals with more than 100 beds and two foreign specialists in hospitals of more than 70 beds. Under the ASEAN Framework Agreement on Services, Malaysia has made commitments in hospital services and specialized medical services. Specialised nursing services and dental services will follow. Our commitments in Mode 3 are to allow foreign equity in hospitals of up to 49% in hospitals with a minimum of 100 beds and in Mode 2 to allow foreign specialists in the above mentioned 14 specialties to practice in private hospitals of at least 50 beds. The practice to be only at a specified location and a change in location will require specific approval. The setting up of individual or joint group practices is not allowed. Moreover there will be a qualifying examination to determine the competence and ability to supply the service to be conducted in the English language. All foreign practitioners must also possess a medical qualification that is recognized by the Professional Medical Regulatory Authority of the Country of Origin as well as the Host Country i.e. for a foreign specialist practicing in Malaysia, qualifications recognized by his or her own country as well as by the Malaysian Medical Council. Under the ASEAN Roadmap on Healthcare Integration, the target is to remove impediments on all four modes of services by 2010. Under Mode 3 the targets for foreign equity in private hospitals are 49% by 2006, 51% by 2008 and rising to 70% by 2010. Under Mode 4 it has been proposed that MRAs (Mutual Recognition Arrangements) be established to facilitate the movement of business people, experts, professionals and skilled labour and talent as well as patients and people accompanying patients. All the above may seem a little threatening but we have to accept that liberalization is here to stay and there can only be greater degrees of liberalisation in the future. We should look at the opportunities liberalisation can offer, especially in the ASEAN context. Malaysia’s health care industry is fairly well developed and we should work towards expanding our services overseas or attracting more health tourists from the region. In order to face the competition which is inevitable, we must work towards continually raising the standards of specialist care in Malaysia and to ensure that the standard of care we can deliver is at least on par with or superior to that which is delivered by our ASEAN neighbours and at a lower cost of delivery. The Academy of Medicine, through its specialist colleges, will have to play a major and leading role in all this. The colleges must ensure the highest standards of practice in their respective specialties through a robust system of accreditation and reaccreditation of specialists as well as the implementation of a well-structured and comprehensive continuing professional development programme. As specialists we must ensure our practices are evidence-based, pay utmost attention to issues of patient safety and maintain the highest standards of professional behavior. There should be a move towards managing patients as a team and the model of a specialist functioning as an independent contractor needs to be reexamined. Quality systems have to be established in all hospitals which should be formally accredited by local or international authorities. Failure to act may result in foreign organizations setting up facilities offering superior services and at lower costs than we ourselves are capable of. On reflection this may not be such a bad thing for the people but should, one day in the future, our health care industry become dominated by foreigners we will only have ourselves to blame. We are living in a globalised world that is undergoing trying times. We in medicine understand globalisation, as transmission of disease have been one of its major effects of globalisation for centuries. Lately we are suffering from another of its effects, as a result of the melt down of the financial services around the world. The failure of the financial services, the rating agencies, the regulators, have had an appalling, disastrous effect that will cause future generations to pay for the bill. This have been the result of utter greed of those providing financial services, who have been reckless and irresponsible, and who have put their own personal interests and their greed, ahead of the interest of their stakeholders. Business Schools around the world are now busy reviewing their curriculum to emphasise proper value systems, to ensure a balance between the profit motive, which is essential, and the interests of the stakeholders, especially the community, and to devise a more rational and reasonable approach to rewarding the captains and others in industry. Is there a lesson in this for us as doctors? There certainly is! As medicine tends to become increasingly commercialised, and conflicts of interests abound, it is a good thing to be reminded of what the patient expects of us as doctors, and for medicine to strive harder to be true to the ideals and virtues of medicine. Every patient will want a doctor that can be trusted, who will act primarily in the interest of the patient, and does this in a personalised way, and be capable of showing empathy, and be faithful to beneficence, the first principle of medical ethics. What is required then, is a virtuous doctor, a “good” doctor who does his work well, who understands the patient’s vulnerability, who professes to be able to help and fulfils this promise. What a patient does not want is the entrepreneur, the businessman, the technician, the bureaucrat or the person who presumes to know it all, and sees the patient as an object for exploitation. Let me also remind you of all the six virtues, which are the major moral virtues of medicine. First is the virtue of fidelity to the promise implicit and often explicit to put the privacy of the patient’s well being at the centre of the doctor-patient relationship. Second is honesty and truth telling. The doctor must be honest about what is wrong, what can be done about it, what is known and what is not known. Third is compassion, the ability to approach the predicament of each patient’s illness, in its social, personal and spiritual uniqueness. Without this virtue, healing cannot be holistic, and the proper balance between empathy and technique cannot be obtained. Fourth is the effacement of self interest, doing what is in the patients’ best interest, even when it involves loss of time, money or additional effort on the doctor’s part. Without this virtue, the relationship becomes a mere business transaction. This virtue clearly separates a profession from a business transaction. Fifth is courage, the willingness to defend morally right decision and action, at the expense even of a loss of social esteem. Without courage, truth, moral rectitude and patient safety may be subject to dangerous compromise. Sixth is justice, which is a principle and a virtue. As a virtue it is the disposition to render to others what is owed to them. Justice may mean treating unequals unequally as well as equals equally. Here justice is mediated by compassion, providing for the vulnerable, the aged, the infant and the poor. Without the virtue of justice in both senses, the relationship becomes commercial. These six major moral virtues of medicine underline the ethical responsibilities of doctors to sick patients and society. They must be accompanied by intellectual virtues, that assure competence, which is the promise of technical proficiency. Aristotle believed that one learned virtue by being virtuous. In medicine by acting virtuously one develops the habitus of virtue, the disposition to act well and predictably in relation to the end of medicine which is to do good for the patient, which is what makes the doctor a true professional. 12th-14th November 2010, Hong Kong Academy of Medicine, Jockey Club Building, Hong Kong. The First Tripartite Congress of the Hong Kong Academy of Medicine, Academy of Medicine of Malaysia, and Academy of Medicine, Singapore, will be held from 12th to 14th November 2010 in Hong Kong. This will also be the 44th Malaysia-Singapore Congress of Medicine. The theme of the Congress is "Benefits and Risks of Recent Medical Advances". The three Academies have many areas in common. We have the same basic principles and directions in training, both at the undergraduate and postgraduate level. Our population has more or less the same disease patterns requiring similar health care. Much, in the direction of patients’ care and medical developments, can therefore, be achieved through an even better collaboration. And it has been agreed that the conjoint congress will become tripartite in every three years starting from 2010. This Tripartite Congress will be an opportunity for networking that enables Fellows and members of the three Academies to share their knowledge and experience with their peers in the region, and to make contacts that may be leads to future collaboration. The Academy has arranged with a local travel agent for a package for members wishing to attend the 1st Tripartite Meeting. Given below are the details. Based on minimum group size of 20 adults. Quotation is subject to change without prior notice. Return economy class group airfare between Kuala Lumpur / Hong Kong / Kuala Lumpur. Airport taxes. (RM188, taxes subject to change). Please contact Ms Jane Lee of Angel Tours (KL) Sdn Bhd (Tel: 603-21488288) if you are interested in this package. This package will be valid till 28th February 2010. Applications are invited from doctors for this annual award, worth RM10,000, for current or proposed research projects. 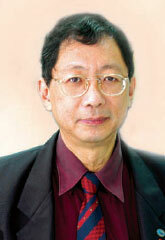 The aim is to promote original research in Malaysia in any field of medicine. Preference will be given to projects with local relevance. The closing date for applications is 15th April 2010. All medical practitioners registered and resident in Malaysia are eligible. Where research work is carried out in collaboration with paramedical personnel and/ or basic scientists, the primary worker should be a registered medical practitioner. Name(s) and working address(es) of the researcher(s), the main researcher being named first. A brief curriculum vitae of the main researcher is required. Objective(s) of research. This should include an introduction of the topic under study and the importance of significance of the study. A brief review of the literature related to the study. The expected date of commencement and completion. (A progress report may be required from the award winner). Budget estimate. A detailed breakdown of the proposed expenditure and any other sources of funding is to be revealed. The winner of the award will be required to present the results of the research to the Academy in such scientific meetings as determined by the Academy. The College of Paediatrics successfully organised the 3rd National Paediatric Research Symposium, held in conjunction with the Paediatric Nutrition Symposium at the Medical Academies of Malaysia Building, 210, Jalan Tun Razak, Kuala Lumpur on 5th and 6th December, 2009. A total of 200 participants, consisted of paediatricians, trainees, dieticians and nutitionists attended. A total of four abstracts were selected for presentation. Dr Ong Suk Yong, from Paediatric Unit, Penang Hospital, won the first prize in the oral presentation. The prize consisted of RM 3,000.00, in the form of financial support to attend the 6th Asian Paediatric Research Society Annual Scientific Meeting at Taipei, Taiwan, in April 2010. A total of three plenary lectures and six symposia were held. 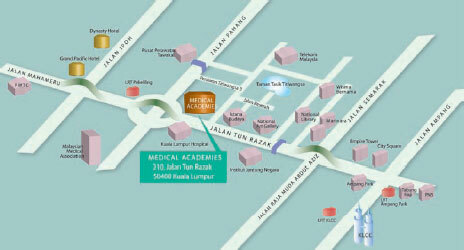 The Academy of Medicine of Malaysia and the National Specialist Register have shifted their offices to the new Medical Academies of Malaysia Building with effect from 1st January 2010.